If you’re looking for a new app to try, you’re in luck, 18 iPhone, iPad and iPod touch apps just hit our database. 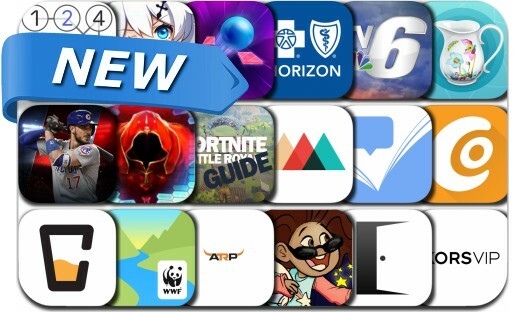 This new apps alert includes MLB Tap Sports Baseball 2018, Honkai Impact 3rd, SwordArtOnline: IntegralFactor, Beat Hopper, Number Chain - Logic Puzzle, KORSVIP, Hey AJ! It's Bedtime, Printful App, Enter the room, Charles Proxy, Craftapped, WWF Free Rivers, Browsery by Barnes & Noble and many others.